If you’re excited about Nickelodeon’s plans to offer a streaming version of Noggin, you’ll be happy to know that there are plenty of great kids’ movies available for streaming while you wait. I’ve picked three new titles for your consideration, and they’re all highly entertaining for grownups, too. Once the kids are in bed, the best movies for grownups newly available for streaming this week include a pair of tense crime films and a pair of classics from the 1960s. Finally, for those who like to live in the now, there’s a documentary and a political satire that both highlight current events. In the late 1950s, Jay Ward helped to re-invent animation for television by developing a style of quick, cheap artwork that relied on sharp writing and funny voice performances. The characters on the Rocky and Bullwinkle show consisted of line drawings that moved jerkily and with no frills, but it was great. Though the 2000 Rocky and Bullwinkle feature film was a much-loathed flop, Mr. Peabody & Sherman (2014) fares much better. Now with a big Hollywood budget, the time-traveling dog Mr. Peabody (voiced by Ty Burrell) and his boy Sherman (voiced by Max Charles) get to have slick, colorful, fluid, fast-paced adventures through time, with subplots about the space-time continuum, school bullies, and the government trying to take Sherman away from Mr. Peabody. Though the jokes range wildly from silly, subtle, and funny to vaguely off-color, the voicework (especially by Patrick Warburton as King Agamemnon) is terrific. Rob Minkoff (The Lion King) directs. Patricia Highsmith’s novels have been adapted into many terrific movies, and The Two Faces of January (2014) proudly joins the list. Stylistically, it owes a bit to Anthony Minghella’s overrated The Talented Mr. Ripley (1999), but that’s partly because the Minghella estate helped to secure financing. From there, Oscar-nominated screenwriter Hossein Amini (The Wings of the Dove, Drive) gets to the heart of the story, focusing on dark behaviors and strong characters (rather than pretty faces). 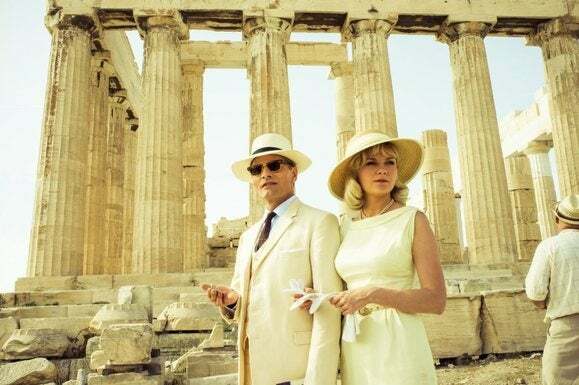 In the early 1960s, an American couple, Chester (Viggo Mortensen) and Colette (Kirsten Dunst) are vacationing in Greece, when they meet a small-time con artist Rydal (Oscar Issac). After Chester deals with an unexpected intruder in their hotel room, Rydal helps the couple in their attempt to leave the country, though things are complicated by the fact that Rydal is increasingly attracted to Colette. Amini gives the movie a warm, pale look designed to evoke older films from that period, and a terrific old-fashioned score by Alberto Iglesias is a highlight. Beginning over a breakfast of biscuits and gravy, and a discussion of Jim Thompson novels, Bad Turn Worse feels like a lost crime film from the early 1990s; the illegitimate offspring of Reservoir Dogs and Red Rock West. It’s set in rural Texas where characters don’t exactly live, but simply get stuck. When Bobby (Jeremy Allen White) and Sue (Mackenzie Davis) get ready to leave for college, their best pal B.J. (Logan Huffman) takes them out for a blowout night on the town, spending a wad of cash. It turns out that he stole the money from his boss. Unfortunately, after several misunderstandings, the trio is forced to pull off a new heist to pay back the debt. Aside from its baked, dried look, the movie gets strength from its crispy dialog, especially notable in a scene at the police station, with Jon Gries as a crooked sheriff. The movie takes a too-abrupt turn at the end and rushes things a bit, but it’s sturdy, pulpy entertainment. Should you bother watching one of the most majestic, sweeping, big-screen movies ever made within the confines of your living room? The greatness of Lawrence of Arabia (1962) is that it’s an intimate epic, and it works whether you’re in a movie palace, an opulent home theater, or the TV in your living room. Peter O’Toole stars as T.E. Lawrence, an Englishman with conflicted allegiances during the First World War. What’s truly memorable about the movie isn’t its politics so much as its small moments, the way characters are introduced as complex, undefinable entities. Indeed, Lawrence is first introduced at his own funeral, where mourners speak about him in exalted, legendary terms. The great cast includes an unforgettable Omar Sharif, Alec Guinness, Anthony Quinn, Jack Hawkins, and Claude Rains. (Barely any women appear anywhere in the movie’s nearly 4-hour running time.) It won seven Oscars, including Best Picture, Director (David Lean), Cinematography (Freddie Young), and Score (Maurice Jarre). O’Toole lost the Best Actor race to Gregory Peck, who played Atticus Finch in To Kill a Mockingbird. 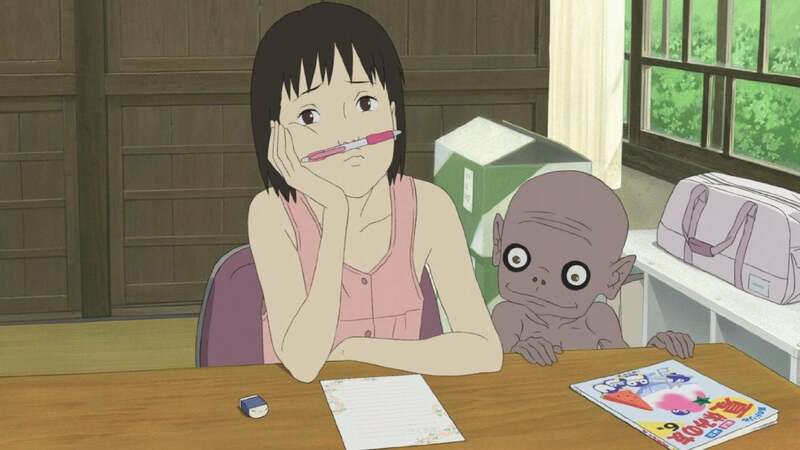 Anime filmmaker Hiroyuki Okiura has worked on some of the darker, more action-oriented classics of the genre (Ghost in the Shell, Jin-Roh: The Wolf Brigade, et al), but his A Letter to Momo (released in 2011 in Japan and in 2014 in the U.S.) feels more like one of Hayao Miyazaki’s dreamy, gentle, kid-friendly movies. Following the death of her father, 11-year-old Momo and her mother move to a remote island to start over. Left alone for long stretches, Momo is distraught over an argument that she had with her father before he died, and clutches a letter that he started writing to her, but never finished. Momo starts hearing voices and seeing things. Soon, three spirits appear to her; they seem to have some purpose, but they are not allowed to tell her what it is. The only thing Momo knows is that the spirits are always hungry. The creatures first appear as creepy and frightening, but eventually, their appearances become less important than their personalities. Like the best anime, this one pays strong attention to things like weather, light, and space, allowing for tiny, throwaway moments that add depth and soul to the characters. 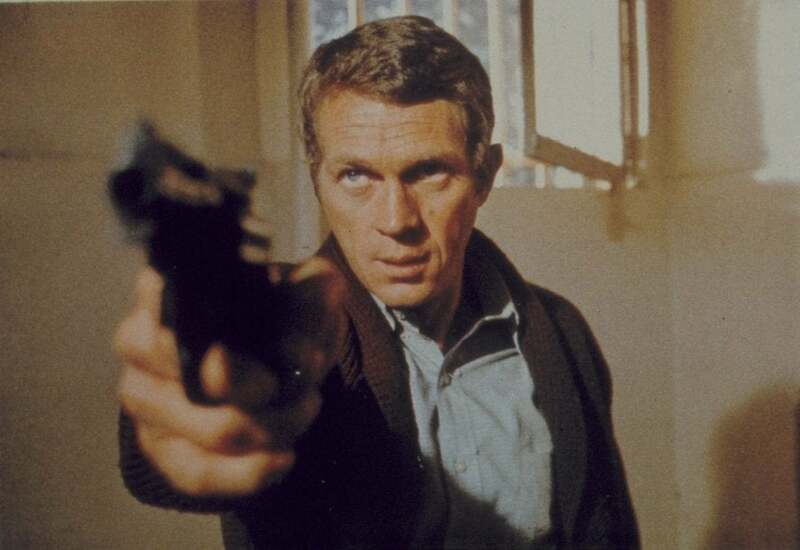 Often credited as the first modern police movie, Peter Yates’ Bullitt (1968) inspired later classics like Dirty Harry and The French Connection with its gritty, urban feel, and its use of a city—in this case, San Francisco—as a character. The stoic, laconic Steve McQueen stars as the ultra-cool title character, who is assigned to protect a star witness in a case designed to bring down a crime syndicate. The plot is strictly old school, but by focusing on details, atmosphere, music, mood, and rhythm, Yates creates something more appealingly primal. Everything is stripped down to its essence, and no artificial character development or suspense is needed. Even the celebrated chase scene feels dangerous, ground-level. and realistic (the movie won an Oscar for Best Editing). Jacqueline Bisset and Robert Vaughn co-star, and Robert Duvall can be spotted as a cab driver. Movies set in the world of newspapers have always had a certain dynamic energy (including the moment someone shouts “stop the presses!”), and this documentary is no exception. 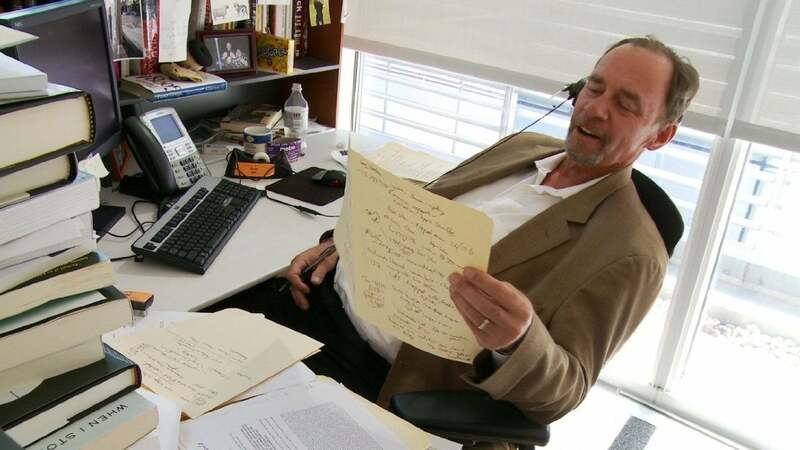 But Page One: Inside the New York Times (2011) is itself newsworthy, given the recent death of columnist David Carr, who is prominently featured in the film. Director Andrew Rossi was granted access to the Times newsroom for a year, and he found a great subject in Carr, a recovering drug addict who was not afraid to speak the truth. The film also focuses on blogger Brian Stelter, given a chance at a print publication, as well as reporter Tim Arango, who decides to transfer to Baghdad. The movie covers an amazing amount of ground, looking into recent scandals, as well as the ever-changing digital landscape and the uncertain future of print papers. The movie depicts the Times as a pillar of integrity and innovation, however, and leaves off on a note of hope. Walt Disney’s 54th animated feature film, Big Hero 6 (2014) is a superhero offering to counterbalance the previous year’s princess-related hit, Frozen. Set in a mashup city called “San Fransokyo,” and featuring a truly breathtaking design, the movie tells the story of 14-year-old genius Hiro, who spends his time illegally fighting robots, until his much-adored older brother Tadashi helps him get into the robotics lab at a university. Tadashi dies in a freak accident and Hiro uses Tadashi’s invention, a big, pillowy medical robot called Baymax, to find out what happened. Amazingly, the movie does not shy away from themes of death and loss, and allows Hiro to experience everything from sorrow to rage. 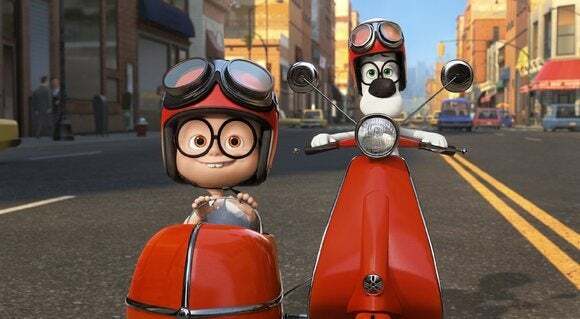 Directors Don Hall ( Winnie the Pooh) and Chris Williams (Bolt) gracefully and fluidly balance speed, colors, and humor, while using the lovable characters to explore themes of teamwork and revenge. Voice performances by T.J. Miller, Genesis Rodriguez, and Maya Rudolph are standouts. Don’t forget to check out Crackle! George Clooney’s fourth movie as director is, like his second, Good Night, and Good Luck, an astute exploration of politics and the way they can warp people’s behavior. 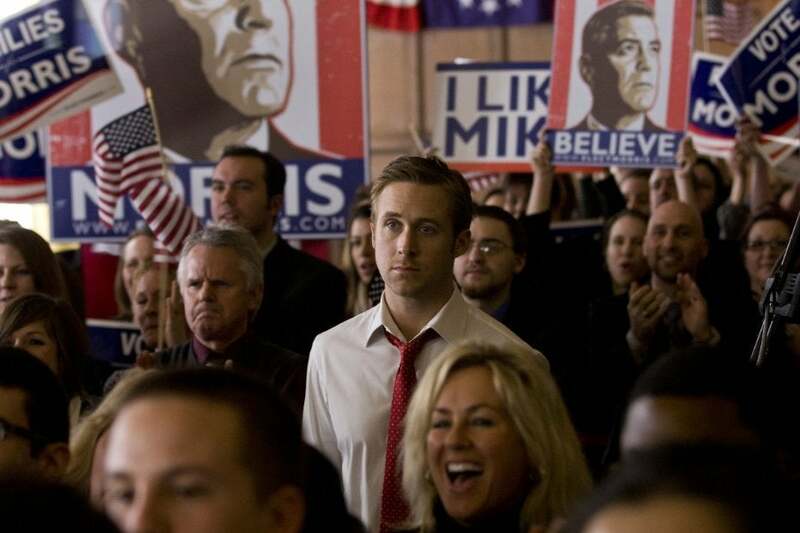 Based on a play, The Ides of March (2011) sometimes stumbles when a theatrical flourish doesn’t quite translate to the screen, but for the most part, it’s a smart, sharp movie. Clooney takes a supporting, but showy role as a governor who is running for president; it’s just before the Ohio primaries, and it’s clear that whichever candidate gets an endorsement of a certain senator (Jeffrey Wright) will have a good shot at the election. The main character is junior campaign manager Stephen Meyers (Ryan Gosling), who is offered a job with the opposing candidate and begins a secret affair with an intern (Evan Rachel Wood), realizing that any of these activities could be used as fuel for larger political attacks. Philip Seymour Hoffman is particularly good as Stephen’s boss, as is Paul Giamatti as the manager of the opposing campaign, and Marisa Tomei as a hard-nosed New York Times reporter.